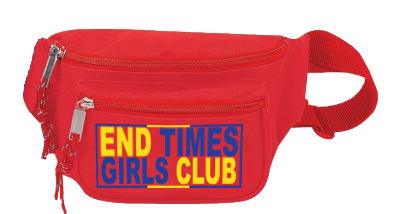 End Times Girls Club limited edition fanny packs! These things are cute and freakin' useful! Either get an empty one to store your freeze dried hummus you made yourself, or upgrade to a survival kit, assembled by the End Times Girl! 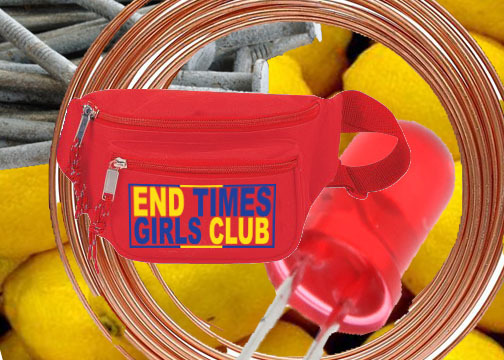 In the ASSURED SURVIVAL kit, you also get compass cocktail materials and lemon light gear. 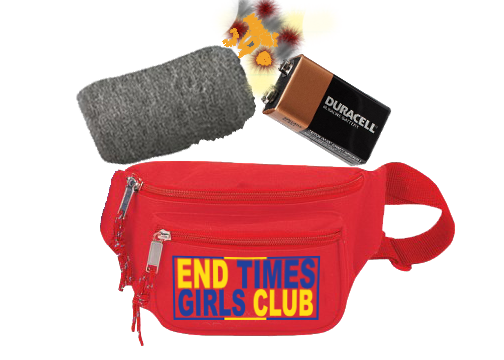 A custom END TIMES GIRLS CLUB fanny pack containing necessary materials for starting a fire (9v battery, steel wool pad). Safety, security and lexicon! hand painted dictionary and translation of important phrases into MORSE CODE. 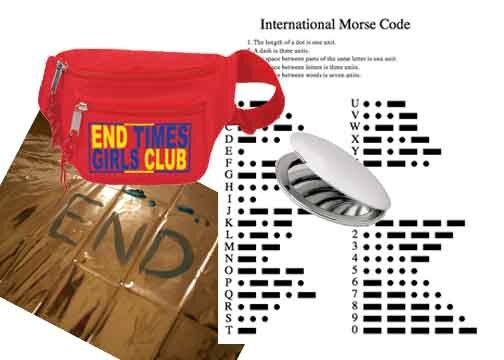 PERFECT FOR EMERGENCIES ;) Made from high quality mylar, a material developed by NASA!! 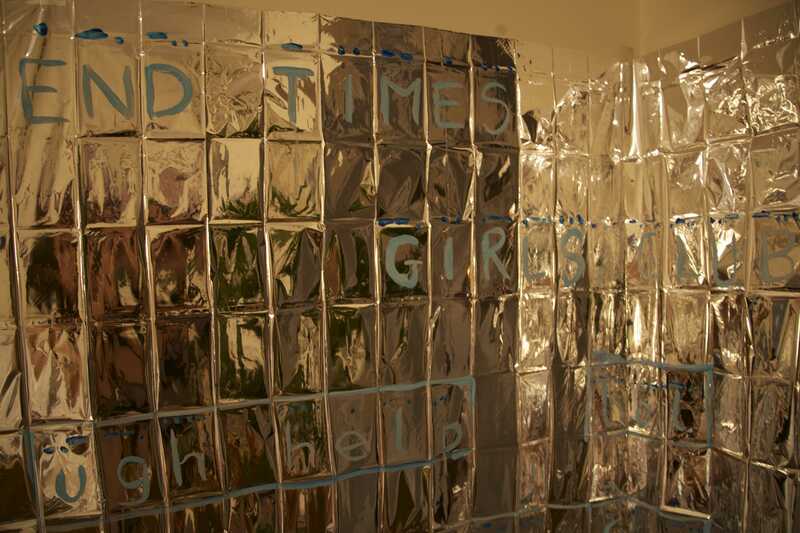 these are custom decorated blankets which have important phrases for communicating in disasters, written in English AND morse code! Stay warm and toasty as you morse "fml" or "ugh please help".